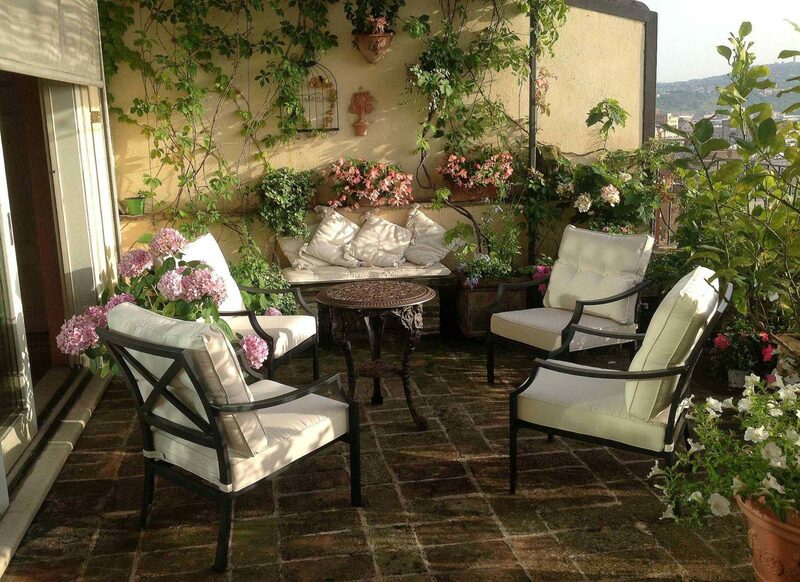 Do you wish your garden arouses the admiration of your friends? Need to prepare your Farmhouse’s garden or your Restaurant’s porch for your guests? 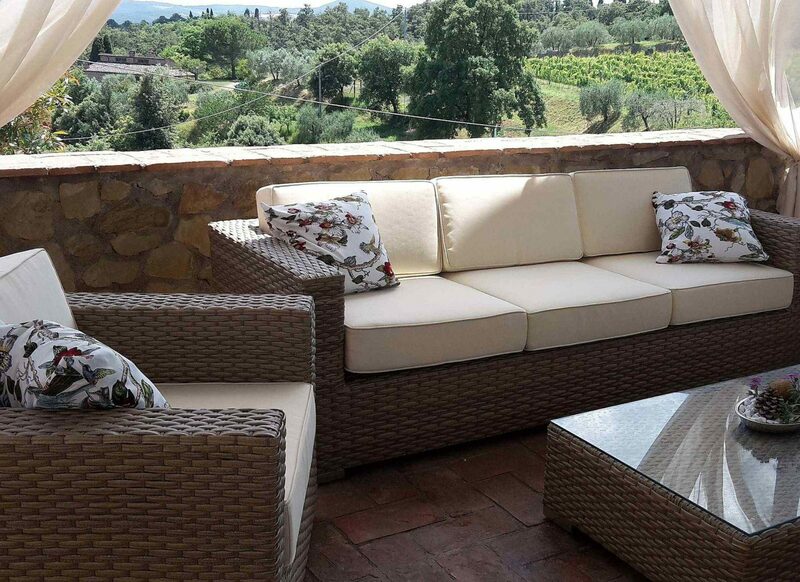 Do you want to make your terrace a magic relaxing place for you and your family? ALBERTI COLLEZIONI offers you a selection of High Quality and Design suitable solutions. 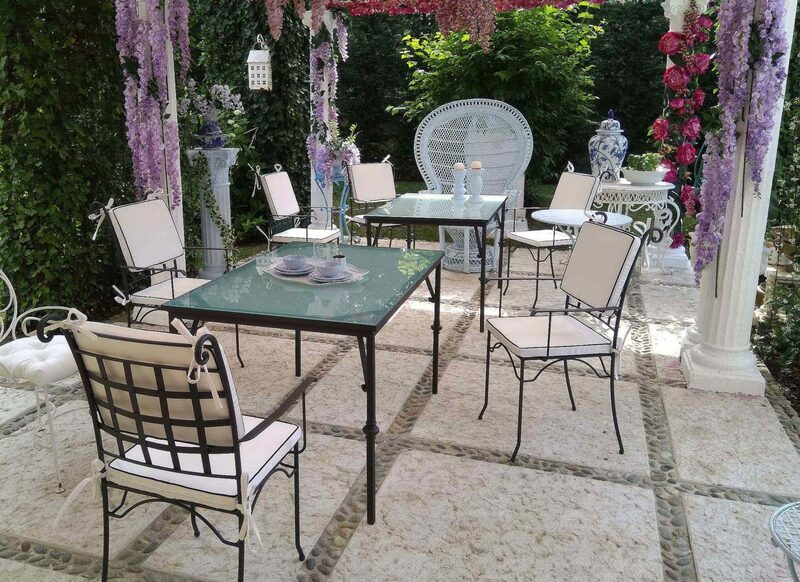 Our products has been created for Hotel and Restaurant use thanks to their strong frames and they perfectly meet the needs of private customers. The best way to enjoy the good season with its scients and the cool evenings is sitting on a combortable sofa with friends and beloved. 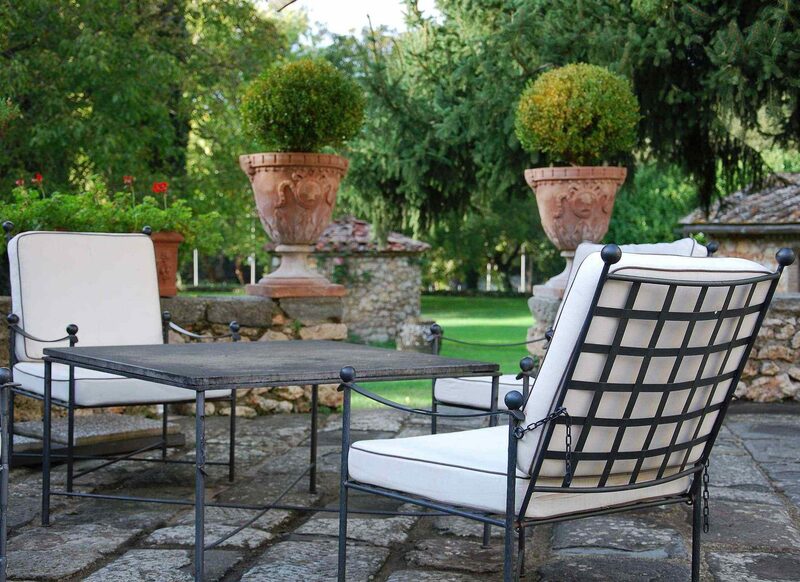 Whenever your style is Modern, Classic, Romantic, Renaissance or Shabby Chic, our WROUGHT IRON and our CONTEMPORARY collection are the best way to reach that aim. Trust us and buy safely; we do not ask you to insert any personal data on our website, but we manage orders personally one by one because YOU ARE UNIQUE and you deserve to be followed directly. Pietro C. (see it on Facebook) – Buon giorno, avevo bisogno di rendere più leggero il mio imponente tavolo da giardino realizzato in pietra. Non era impresa facile…. Ma la “Alberti Collezioni” con le sue sedie modello “Volterra”, eleganti e comode, ha soddisfatto pienamente le mie esigenze. La cura del dettaglio, la scelta dei materiali e la fine fattura denotano esperienza, professionalità e buon gusto, non comuni. Che dire? Ne sono entusiasta! Ora posso finalmente godere di un “nuovo” angolo del mio centenario giardino. Claudia R. (se it on Facebook) – Cercavo in rete delle poltrone da esterno, qualcosa di raffinato ma comodo, che si distinguesse dal resto. Ho trovato Alberti Collezioni. Un raffinato manufatto in ferro della serie Firenze, l’acquisto si poi rivelato perfettamente fedele alla descrizione e alla fotografia . Anche il contatto è stato preciso nelle informazioni. Mi ha colpita la capacita di lavorare il ferro come se fosse un tessuto, osservando il poggia braccio della poltrona ho avuto la sensazione si trattasse di un leggero nastro, invece è ferro. Solo tanta passione per quello che si fa, ma anche uno spirito di osservazione e riflessione fa giungere a risultati così unici. Faccio i miei complimenti ad Alberti collezioni che vive il proprio lavoro come un opera d’arte continua. 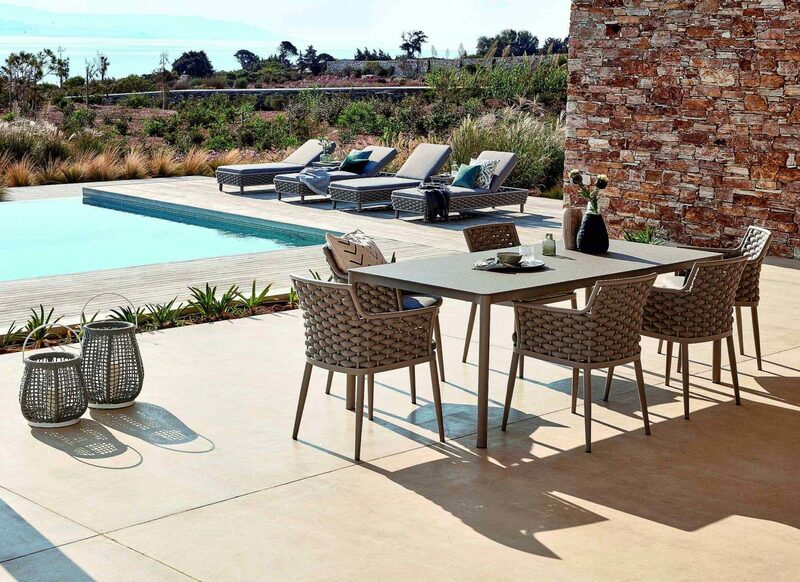 ALBERTI COLLEZIONI is furnishing its own outdoor space with elegance and quality for the simple taste of being comfortable and enjoying the beautiful. You will find only quality products that are perfect for even the most intense use in Hotels, Restaurants and Farm-houses. 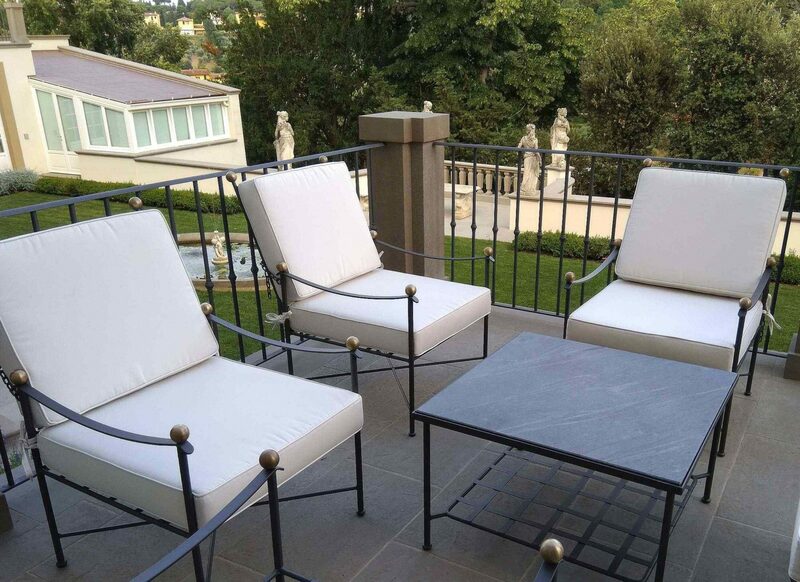 Discover our "Wrought Iron" and "Contemporary" collections and contact us freely for any questions you may have in mind: we are always at your disposal and we will answer you immediately.